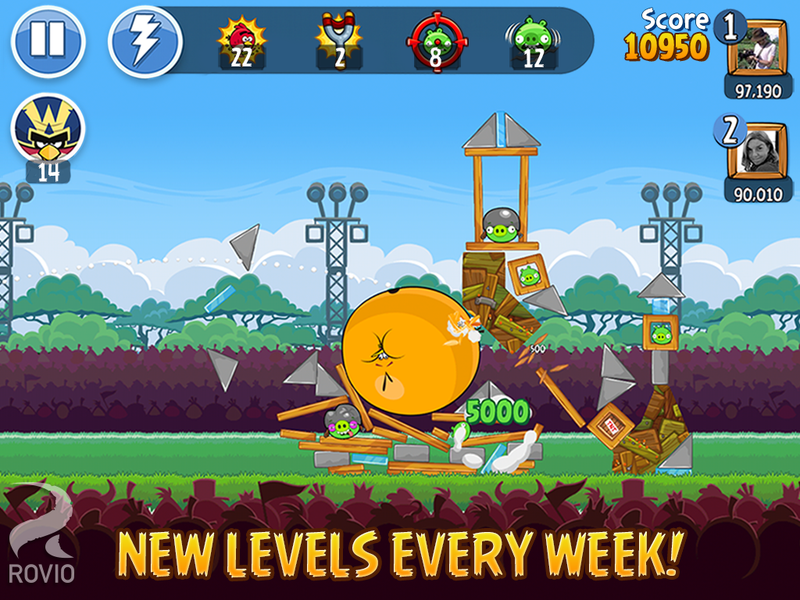 Play Angry Birds with your friends... wherever you go!In this FREE new game, you can use your phone to challenge your Facebook friends for the title of ultimate pig popper and bird flinger! Play in weekly tournaments with your friends and see if you can snag the coveted bronze, silver and gold trophies. Plus, gather daily rewards, send and receive gifts, and brag about your accomplishments! 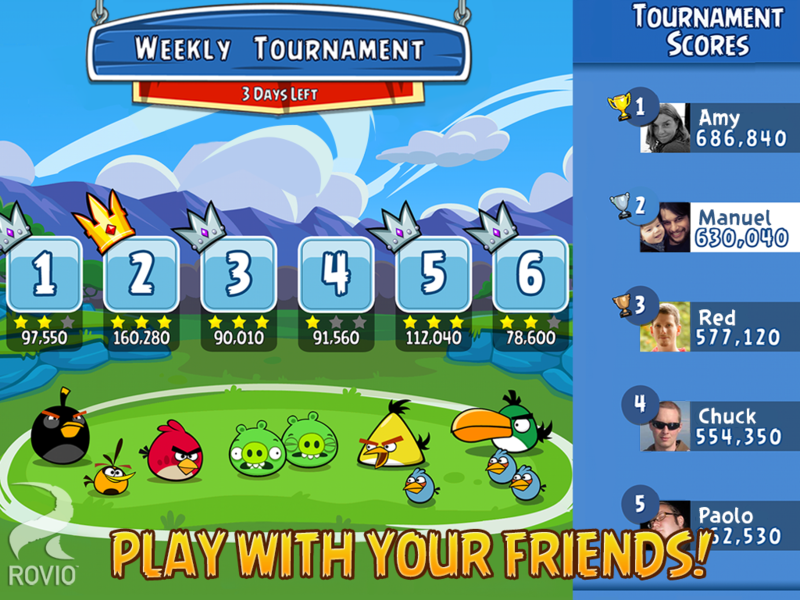 And if you’re playing Angry Birds Friends on Facebook, your tournament progress will automatically be updated, so you can continue playing wherever you are! Get the all-new update with a fun and festive Holiday tournament starting December 9th! Plus we’ve added the new Jingle Sling to fling birds and shiny tree ornaments at the pigs!